Master Sgt. Thomas D. Maholic, 38, a Special Forces team sergeant assigned to 2nd Battalion, 7th Special Forces Group (Airborne), died June 24 in the Kandahar Province, near Ghecko, Afghanistan when he was fatally struck by enemy small arms fire during a cordon and search mission. Maholic, a native of Bradford, Pa., enlisted as an infantryman in 1991. His first assignment was with the Pennsylvania National Guard where he was an infantryman for five years. In July of 1991, he transitioned to active duty and was assigned to the 1st Battalion, 508th Infantry Battalion at Fort Kobbe, Panama where he served for two years. In 1993, he volunteered to become a Special Forces Soldier. Maholic graduated from the Special Forces Qualification Course in 1995 and was assigned 1st Bn., 7th SFG, as a Special Forces medical sergeant. In 2003, after serving more than seven years in 7th SFG, he was assigned to the U.S. Army John F. Kennedy Special Warfare Center and School at Fort Bragg, N.C., where he served as an Advanced Noncommissioned Officer Course instructor. 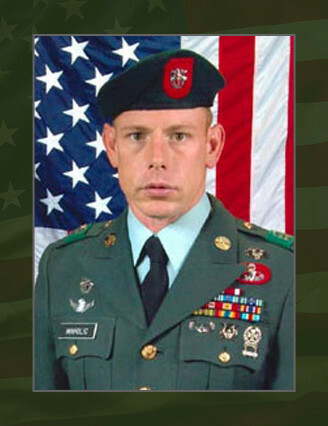 In April 2005, Maholic was assigned to 2nd Bn., 7th SFG and served there as an Operational Detachment – Alpha team sergeant until his death. His military education also includes the Basic and Advanced Noncommissioned Officer Courses, Combat Diver Qualification Course, Combat Diver Supervisor Course, Advanced Special Operations Techniques Course, Basic Instructor Training Course, Air Assault Course, Special Forces Assessment and Selection Course, Basic and Advanced Airborne Courses, Spanish Language Course, Survival, Evasion, Resistance, and Escape Course and both the winter and summer mountain warfare schools. Maholic’s awards and decorations include the Meritorious Service Medal, Army Commendation Medal, Joint Service Achievement Medal, Army Achievement Medal, Army Good Conduct Medal, National Defense Service Medal, Afghanistan Campaign Medal, Global War on Terrorism Service Medal, NCO Professional Development Ribbon, Army Service Ribbon, Overseas Service Ribbon, Expert Field Medical Badge, Special Operations Dive Badge, Master Parachutist Badge, Air Assault Badge, and Special Forces Tab. He was posthumously awarded the Bronze Star Medal for valor, Bronze Star Medal for service, Purple Heart, Meritorious Service Medal and Combat Infantryman Badge. He was posthumously awarded the Silver Star for conspicuous Gallantry in Action in Afghanistan on 24 June 2006, his order was signed on 14 April 2007. He is survived by his wife, Wendy, and son, Andrew of Ft. Bragg, N.C. He is also survived by his mother Dorothy Maholic of Bradford, sister, Ann Davis of Bradford, brothers David of Cleveland, Ohio, John and Michael of Bradford, and Robert of Bellefonte, Pa.